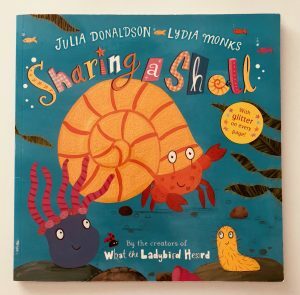 Sharing a Shell by Julia Donaldson & Lydia Monks is a lovely little book about sharing and friendship, which we have read over and over again. 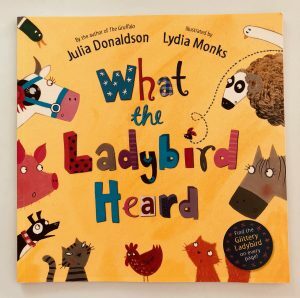 The story is about a little hermit crab who is looking for a new home. He finds a lovely shiny shell and moves right in but then he meets an anemone who wants to move in too! He really doesn’t want to share his shell but the anemone explains that he can help ward off predators so will earn his keep. The crab reluctantly agrees and soon realises that having the anemone around is really helpful and they are very happy living together. Then up rocks a bristleworm who also wants to move in. Again, the crab isn’t keen but relents when he realises that the bristleworm will keep the shell nice and clean. 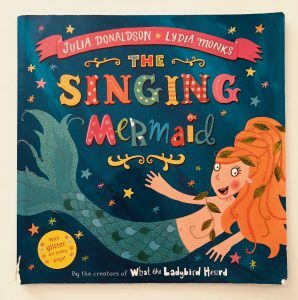 Our copy of The Singing Mermaid by Julia Donaldson and Lydia Monks looks a little the worse for wear as it’s seen a LOT of love in the 18 months we’ve owned it! The story is about a mermaid with a beautiful voice. 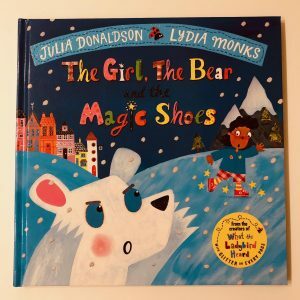 One day she is discovered by a circus owner called Sam Sly who convinces her to leave her lovely beach to join his circus and sing to the crowds. He promises that if she goes with him she will become rich and famous. 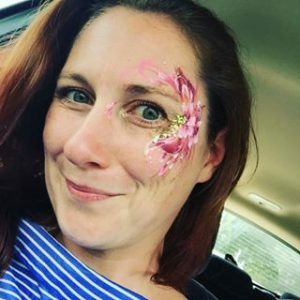 Excited, she agrees to go despite the protestations of her friends. 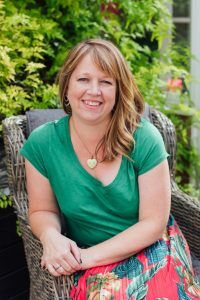 She makes lots of friends at the circus but surprise surprise, Sam Sly does not turn out to be a nice character. He keeps her in a tiny fish tank and the riches he promised never materialise. Instead she feels trapped and longs to return to the sea. 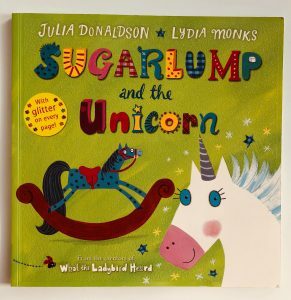 We love Sugarlump and the Unicorn by Julia Donaldson and Lydia Monks. Sugarlump is a rocking horse who becomes discontented with his life when the children who own him grow up and go to school. Enter a magical unicorn who grants his wishes and lets him be who he wants to be. 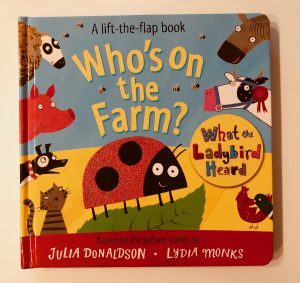 But after stints on a farm, at a race course and in a circus he’s still not happy and he misses the children. Will he ever fulfil his potential and become the horse he was meant to be? 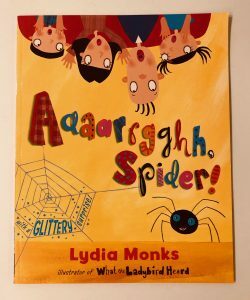 The illustrations in this one are fab and there are raised glittery sections on every page for your little one to find and touch.